Jerusalem: a place for reflection and prayer; for remembrance and for dreams. we had never properly welcomed home those who had survived. the war was a mistake. whom had never made it back home. the wounds – physical and emotional – of their service. 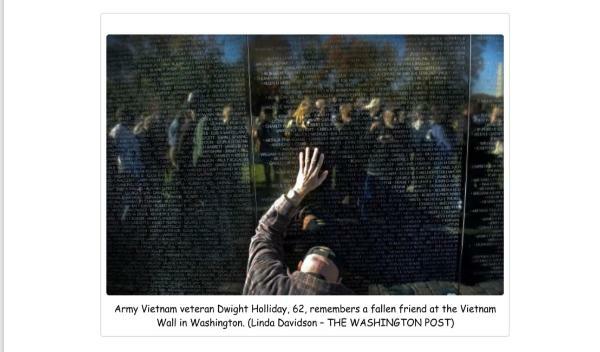 anyone else he had been in Vietnam…until the day the memorial was dedicated. carefully distinguish their opposition to a war from their support for our troops. hand and thanked him. I believed that I was finally being welcomed home from Vietnam. thought, and so it changed the way we acted, too.